Just because it’s Super Bowl Sunday, doesn’t mean the Simpsons are getting out of working for Fox and neither is Zooey Deschanel, who is “contractually obligated” to introduce America’s favorite family for a Super Bowl promo. 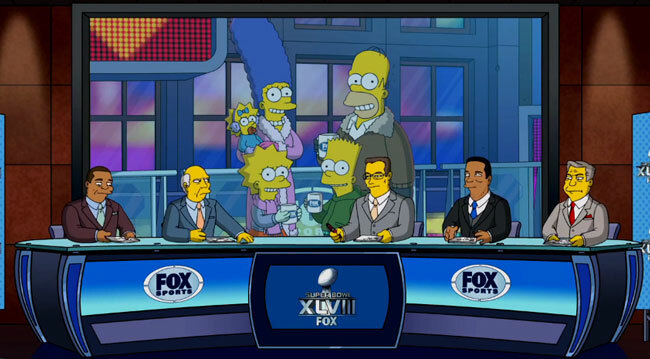 The Simpsons sing a parody version of the NFL on Fox theme music that gets a chilly reception from the sports analysts. “We’re bringing football back to its cold, exciting roots,” Howie Long defends the decision.